”The Dreamed in Finland (Unelmoitu Suomessa) project taught us what drives young people in the Finnish work life. We learned about their dreams, the possible and impossible ones. We learned about the point in life when the dreams are forgotten or given up. We also got a good, deep understanding of the attitudes the young people have towards work life and about the commitment or non-commitment. These things matter in all industries”, Jokke Eljala, the research manager of the Association for Finnish Work (Suomalaisen Työn Liitto), says. 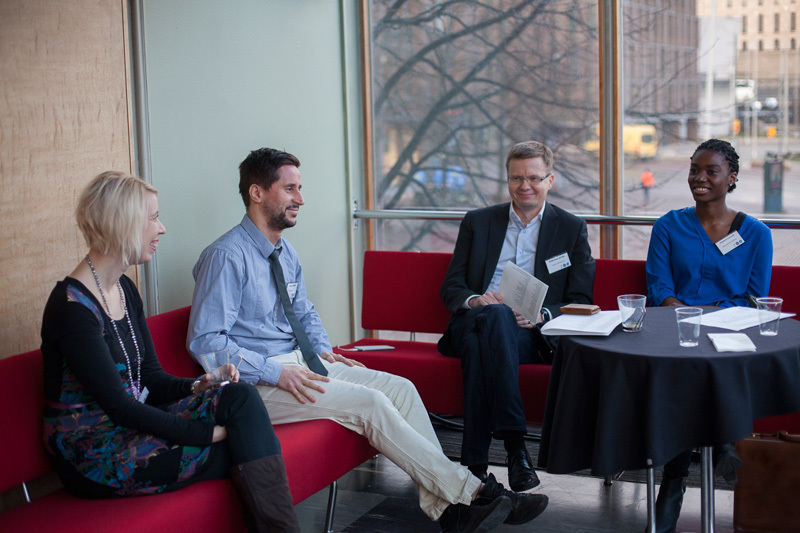 With this project, the Association for Finnish Work and 15/30 wanted to find new and innovative ways to transform the research. ”There’s a labour shortage in some industries and we wanted to know how to change this”, Eljala says. There are different challenges if you enter the worklife straight from school in your late teens or in your early twenties than if you get a higher education and start working later in life. For example, coping with the workload and motivating yourself to keep going decade after decade affect those who start working earlier the most, according to Eljala. ”There’s a different perspective on time”, he says. There are a lot of public ”truths” about work that haven’t actually been proven true. The Association for Finnish Work and 15/30 with ITV and Yle wanted to debunk these myths and bring the conversation closer to real people. ”The 8 Myths About Work was a follow-up to Dreamed in Finland. There’s a lot of talk about work on the macro level, in a distancing way. But to get people to enjoy their work — that happens in the personal level. We wanted to create conversation on the personal and concrete level”, Tero Lausala, the managing director of the Association of Finnish Work, says. ”The 8 Myths About Work started from the Dreamed in Finland project. We took the idea further and thought about the best way to do this. TV reaches the masses, so we started to conceptualize and develop these ideas for the TV”, Eljala tells. The project was a success: the average number of viewers was over 400 000 Finns. Lausala says that 15/30 was an important partner. ”We sparred with Mikko [Ampuja] when thinking about what myths there is and if there’s need for more research”, Lausala says. Both Lausala and Eljala thanked the evaluation 15/30 made of the impact of the project. ”I want to praise the way the evaluation was done. Methodologies were used very creatively. The video reports done with Hannu [Uotila] were something completely new. It wasn’t a boring powerpoint. Of course the base work was good as well, but these videos made it fun to show the end results to others, too. It really brought the results to life”, Lausala says. Well designed information is important to 15/30. ”We always aim for the biggest possible impact in all that we do. Information design, utilizing videos and conceptualization have an important role in the overall designs”, Ampuja summarises. Eljala was the one commissioning the work, but he also took part to the field work. ”I took part in the workshops and the participated in the going through of the results. I sparred and I was a partner, which is exactly what I wanted”, he says. ”15/30 was familiar to me from unofficial networks. I hadn’t worked with them before, but I knew Pauli [Komonen]. I went through 15/30’s materials, and I already knew their National Youth Study. I also knew Mikko [Ampuja] and his way of thinking, so it was easy to start the collaboration after Mikko came to discuss how it would be good to do something together”, Eljala recalls. You can watch the 8 myths about work (in Finnish) here.